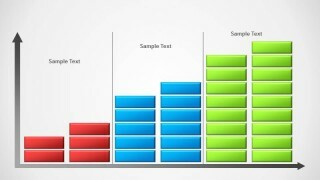 Concept Bar Chart template for presentations in PowerPoint is a chart template design created with blocks. 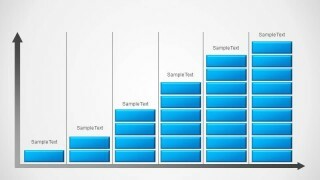 The first chart design simulates a digital equalizer. 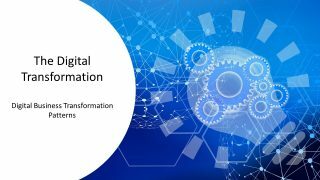 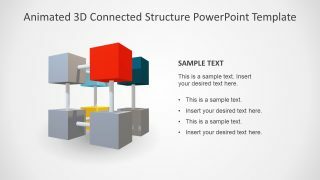 This creative design is constructed using PowerPoint Shapes, allowing the user to fully customize properties as size, 3D effect, shadows, colors and gradients. 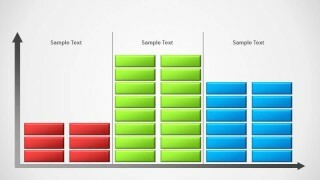 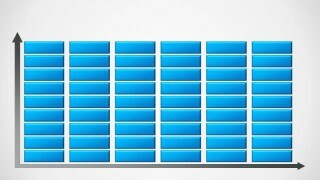 The presenter can picture data elements using the blocks as Bar Charts and describing in the same chart different layers. 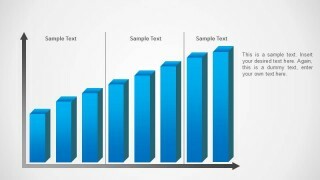 The Cartesian Axis are created with flat grey arrows , that can be edited to fill the size required for the data points. 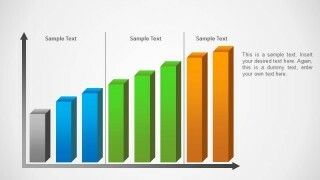 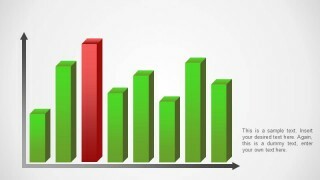 The presentation also contains 3D Bar Charts for regular PowerPoint representations. 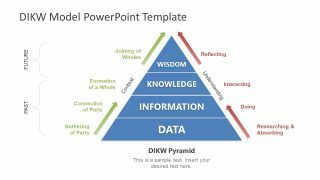 Use this awesome PowerPoint Chart for your financial or marketing presentation and transmit your message with great designs that appeal to global audiences. 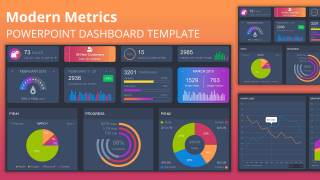 Combine this Bar Chart Templates with different Pie Charts or Line Charts from our PowerPoint Charts catalog, and build professional Dashboards for your executives.